In our quest for uncommon goods we stumbled upon this very interesting tree identification guide which is handcrafted in Paris France. Finding the perfect gift for the budding arborist and tree hugger shouldn't be hard. This very special gift set will especially appeal to those who love nature, the outdoors, trees and all things not man-made. It is also a great educational tool and a useful tree identification guide for the most common trees in Europe and North America. This tree identification guide contains 20 cubes. 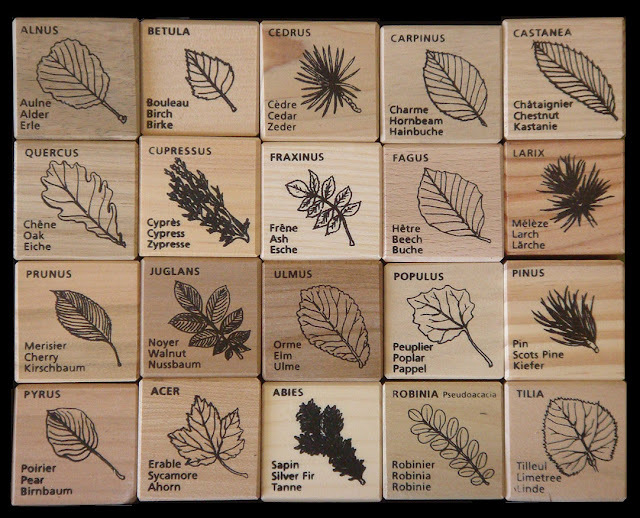 Each wooden cube is made of a different type of wood to help identify the main types of European and North American trees. 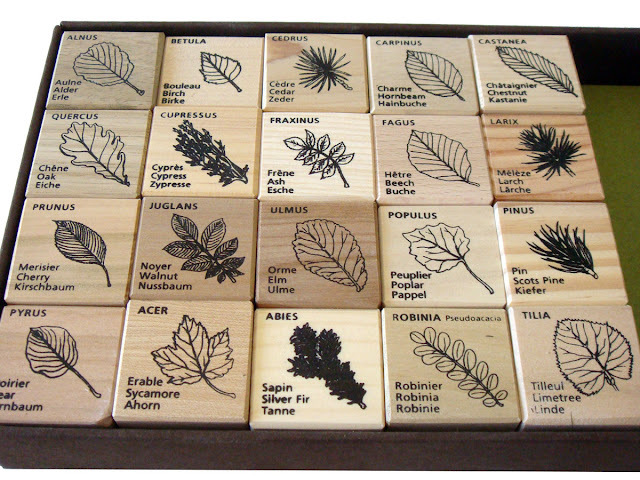 Each cube features a drawing of the leaf of the tree and its name in Latin, French, English and German. 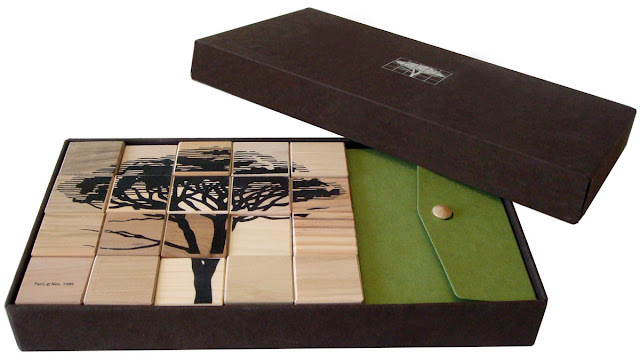 One side of the puzzle depicts a pine tree. 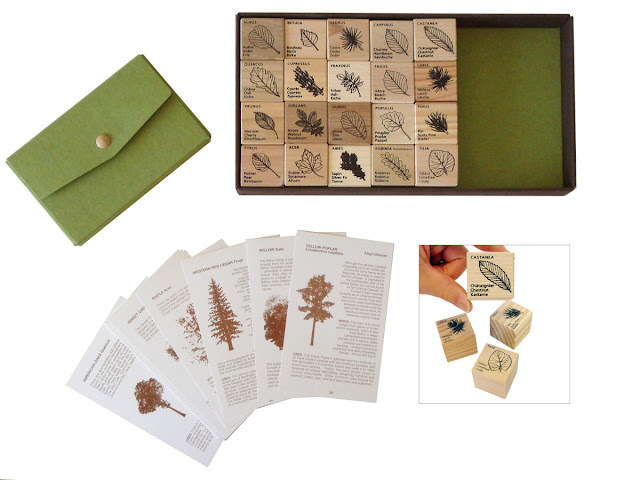 The box also contains a file of 36 cards for easy identification of trees most common in Europe and North America. 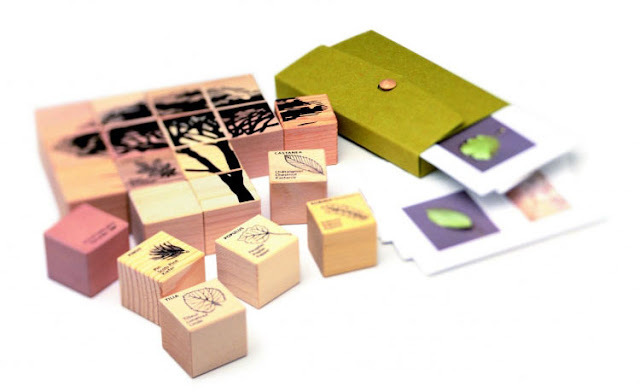 Each card shows a tree with a color photo of its leaves and bark which will facilitate identification, as well as a short synopsis of its particularities, and information concerning its wood and commercial uses. This deluxe edition is presented in a gift box as pictured. This heirloom quality wooden gift set is one of the finest and most stylish gift ideas we have seen in years. A most welcome and refreshingly non-technical gift idea (no need for any apps to downloads). It will certainly please even the most hard-to-shop-for friends. Handcrafted and imported from Paris, France.